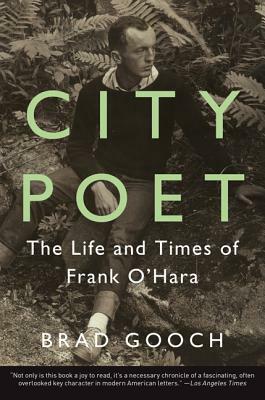 The definitive biography of Frank O’Hara, one of the greatest American poets of the twentieth century, the magnetic literary figure at the center of New York’s cultural life during the 1950s and 1960s. City Poet captures the excitement and promise of mid-twentieth-century New York in the years when it became the epicenter of the art world, and illuminates the poet and artist at its heart. Brad Gooch traces Frank O’Hara’s life from his parochial Catholic childhood to World War II, through his years at Harvard and New York. He brilliantly portrays O’Hara in in his element, surrounded by a circle of writers and artists who would transform America’s cultural landscape: Willem de Kooning, Franz Kline, Helen Frankenthaler, Jackson Pollock, Gregory Corso, Jack Kerouac, Allen Ginsberg, LeRoi Jones, and John Ashbery. Gooch brings into focus the artistry and influence of a life “of guts and wit and style and passion” (Luc Sante) that was tragically abbreviated in 1966 when O’Hara, just forty and at the height of his creativity, was hit and killed by a jeep on the beach at Fire Island—a death that marked the end of an exceptional career and a remarkable era. City Poet is illustrated with 55 black and white photographs.